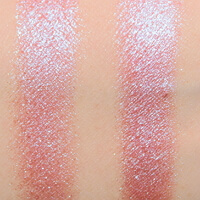 This eye shadow palette really grabs attention with the extensive selection of pinks. It has 18 colors and inside there is a large mirror, that is a definite plus. 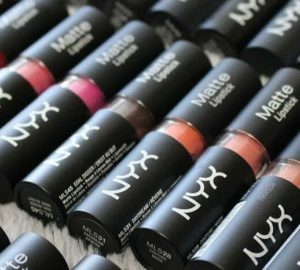 But how well do colors blend and how well do they wear? That is something we will cover in this review. Overall, the colors in this palette are different, feature different textures and apply in a different way. 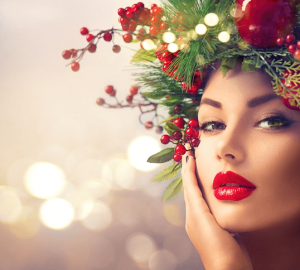 The official web site says that the shadows are extremely pigmented, yet we can say that some colors are somewhat difficult to work with, and some really make a statement. Shimmers by Huda Beauty in this palette should be applied with fingertips or dampened brush. 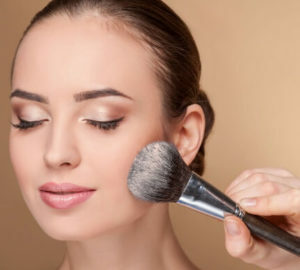 It is also a good idea to use eye shadow primer first, and then apply these shadows. 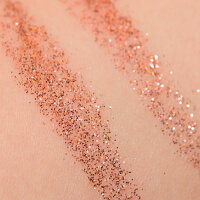 We tried applying these shadows in different ways, using different techniques, and we’ve noticed certain fallout when tried applying these glitters on the bare skin. But when we used glitter primer, the result was awesome. 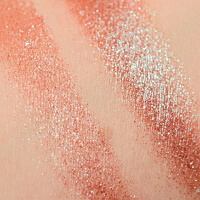 Let us take a look at Huda glitters and duo-chromes closer. Glitter better applies with a dampened synthetic brush, rather than with a finger. When we tried applying glitter with a finger, a lot still remained on the finger, and very little transferred to the eye lid. The same story with the duo-chromes. 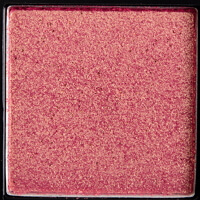 This is a bright eye shadow. It is lavender with sparkling duo-chrome finish, which shifts from warm pink to cool bluish. Overall, it can be considered warm. 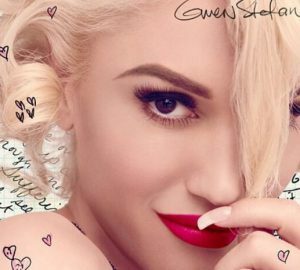 The coverage is semi-opaque and it’s better to apply it with a damp brush. This duo chrome performs well both when used alone and when applied on top of the other matte shadows from this Huda palette. The texture is smooth and blends well with dry brush. It wears for 7 hours, and then starts to fall out. 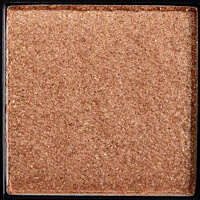 This is a brown eye shadow with warm undertone and duo-chrome sparkling finish that shifts from blue to green. 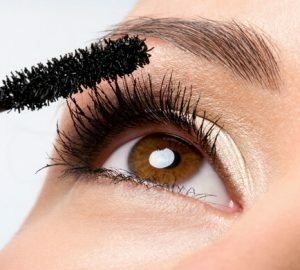 We recommend applying it with a damp brush, as it is somewhat difficult to control the coverage when the brush is dry. It wears for 7+ hours with minimal fallout. 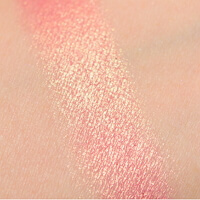 This is a pink eye shadow with cool undertone and gold-peachy duochrome shimmer finish. The finish itself is warm and shifts from peachy to gold. 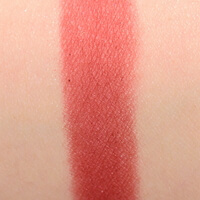 The texture is somewhat dense, so it is hard to apply without base. 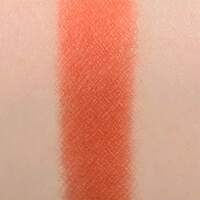 The pigmentation is semi-opaque and blends not that easy. It wears for 7 hours. 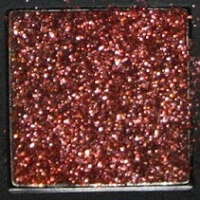 This is a copper glitter with warm undertone. The consistency of the glitter itself is loose. It does not stay over an hour when applied as is, so if you want it to hold, we recommend applying it over the glue for glitter for good adhesion. It’s fair to say, that matte eye shadows in this palette are somewhat thin. Also, in the pan, the mattes appeared chalky and somewhat dry. 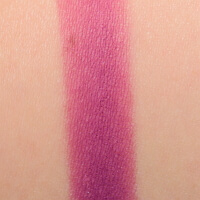 In general, the mattes do not feature that smoothness or creamy formula as we expected. 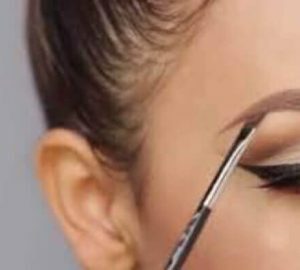 Yet, they feature minimal fallout and give clean looks when applied on the eye lid. 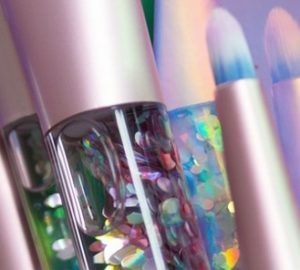 Huda Beauty mattes perform well on the lid and, what’s important, look matte on the lid despite of some tiny sparkles we’ve noticed in them. 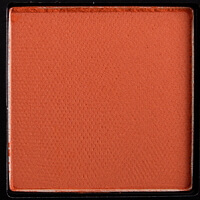 Pigmentation is rich and the texture allows blending these shadows easily. In general, these shadows wore for 7-8 hours when applied over the eye shadow primer. 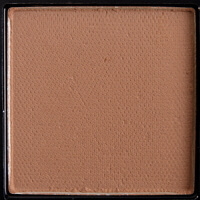 This is a beige eye shadow with yellowish undertone and matte finish. Color playoff is semi-opaque and the texture is somewhat dry and dusty. It wears for 6.5 hours before fading out and features noticeable fallout. 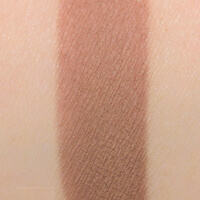 This is a neutral medium brown eye shadow with matte finish and warm undertone. The texture is smooth yet somewhat dry. When applied, the shadow feels thin. 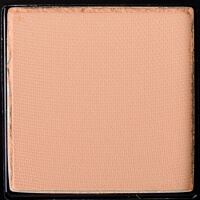 The shadow features opaque pigmentation and stays for 8 hours. 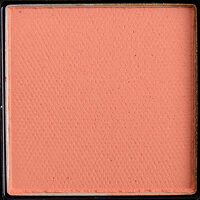 This is a peachy eye shadow with matte finish and warm undertone. 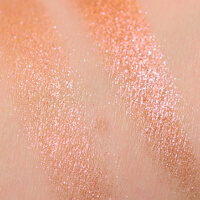 It features good pigmentation and somewhat dusty texture. The shadow blends well on the eye lid and lasts for 7.5 hours before it starts to fade out. 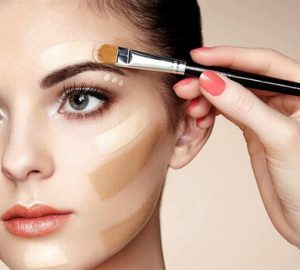 When blending, one has to do that carefully to avoid darkening on edges due to dry texture. 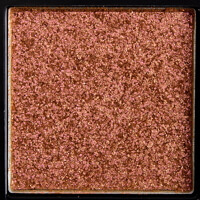 This is a brown eye shadow with warm undertone and matte finish. Though, if you look close, you will notice tiny micro-shimmer, which is not enough to prevent it from being matte. 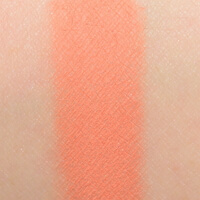 The pigmentation is excellent, the shadow blends well and applies evenly both on bare skin and over a primer. 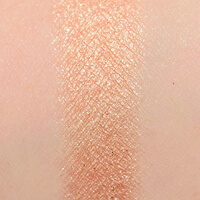 The texture is somewhat dry, and the shadow wears for 8+ hours without noticeable fading. 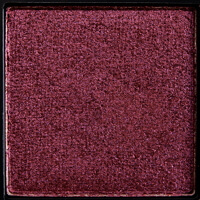 This is a brown eye shadow that features plum warm undertone and matte finish. 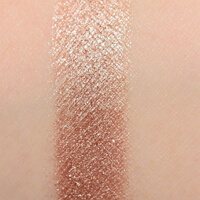 The formula features tiny micro shimmer, which is not noticeable when the shadow is applied on the eye lid. 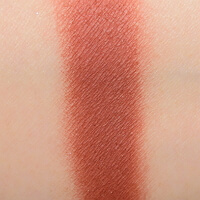 The formula is soft and does not feel as dusty or dry, as the other mattes in this palette. It blends easy over the primer and stays for 7 hours before it starts to fade. 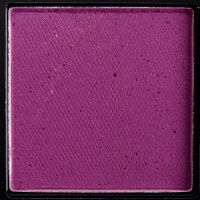 This is a magenta purple eye shadow with somewhat cool undertone and matte finish. 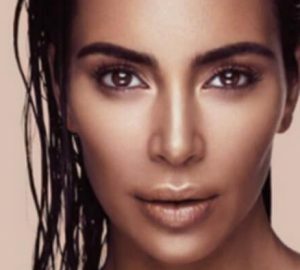 The coverage is semi-opaque, as the Amethyst by Huda Beauty features medium coverage. 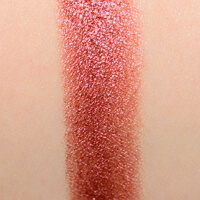 To gain the deep color as it appears in the palette we had to apply this eye shadow in three layers. 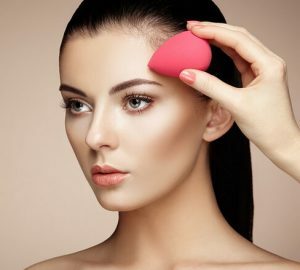 The texture is dry and is somewhat difficult to use effectively. When used without eye shadow primer, it looks patchy and darkens in some places. 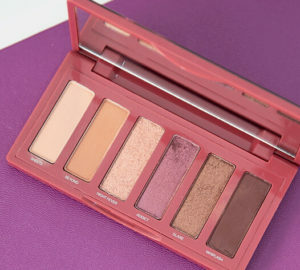 We can say, that despite of the bright color, this eye shadow is the weakest one from this palette. It wears for 7 hours. 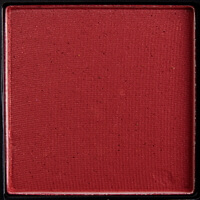 This is a dark-red color with warm brownish undertone and matte finish. It features good color payoff and is semi-opaque. 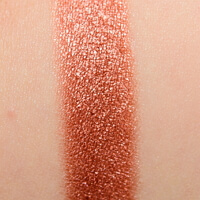 The texture is somewhat dry, yet this eye shadow does not feel powdery. It blends well and wears for 7+ hours without fading. 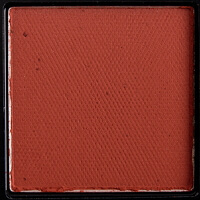 This is brownish orange eye shadow with warm undertones and matte finish. It features excellent pigmentation and smooth texture that blends well. It wears well for 8+ hours without significant fallout or signs of fading. These eye shadows feel creamy, compared to mattes, yet still somewhat dense. However, the shadows are easy to pick up with a brush. They blend well. It is a good idea to apply these pearls over the mattes to obtain deeper and more intense color. 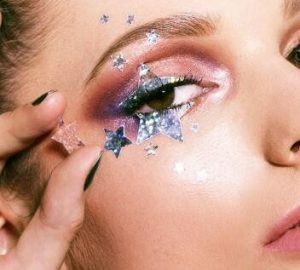 Some of these shadows appear less metallic, when blended with a brush, so to gain that deep effect you may want to add an accent on top after the blending is over, to complete the look. 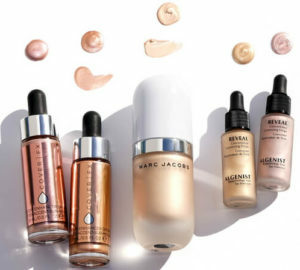 In general, these shadows wear for 7-8 hours without fading. 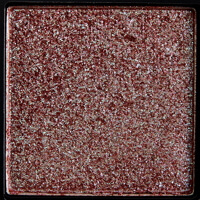 This eye shadow features pearly metallic finish. It is medium copper with warm undertones. 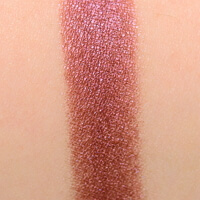 The pigmentation is rich and the shadow blends well. 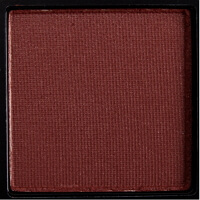 The formula of the Huda Beauty Blood Moon eye shadow is somewhat creamy, which makes it easy to apply and blend. It blends well with a synthetic brush. After 8 hours of wear the shadow begins to crease, even when is applied over the primer. 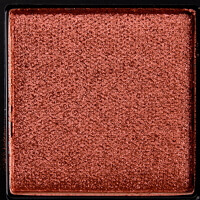 This is a brown eye shadow with warm peachy undertone and golden-peachy metallic finish. Consistency is somewhat loose in the pan and it does not apply well with finger or dry brush. We found it working way better when tied applying it with dampened synthetic brush. After we applied it this way, it blended well with dry brush. The coverage is somewhat opaque and dry. The shadow wears for 7 hours, yet we noticed certain fallout during the wear with time. 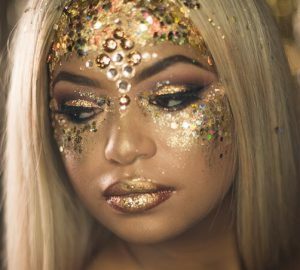 This is a yellowish gold eye shadow with glitter particles. It features warm undertone and sparkling metallic finish. Pigmentation is good and the texture is somewhat dusty. It wears for 8 hours without significant signs of wear. 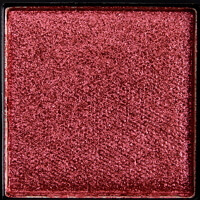 This is a plum eye shadow with warm brown undertone and light pinkish pearl finish. The consistency is moderately dense and it performs well even when applied with one layer on bare skin. Due to dense formula, it is somewhat difficult to blend on edges. It wears well for 7 hours when applied over eye shadow primer. 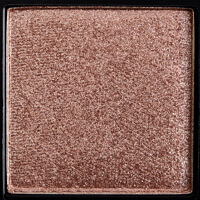 This is a light taupe eye shadow with metallic finish and warm undertone. 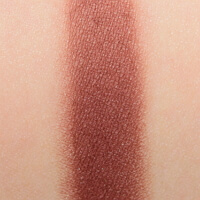 The consistency is somewhat dusty, yet the shadow applies well and smooth due to the soft texture. It blends easy and applies well both on bare skin and over the primer. It wears for 8 hours without significant fallout or fading. 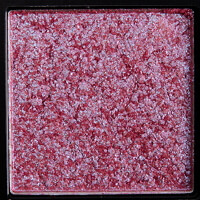 This eye shadow features rich pinky cranberry color with metallic finish and warm undertone. The finish is copper metallic. The formula is somewhat dense and difficult to apply on bare skin, so we find it easier to apply with damp brush. It blends well with dry flat synthetic brush. 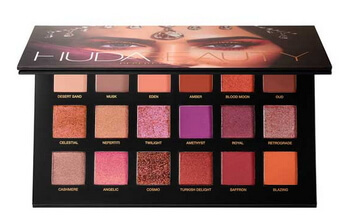 Turkish Delight by Huda wears for 8+hours. Having tested this palette we can say, that some colors are truly awesome, yet some require certain work. Overall, the texture is somewhat dry, and we recommend applying these shadows over eye shadow primer. Also, we cannot say that Desert Dusk by Huda Beauty is a must have. Yet, it features a lot of unique colors, so it definitely deserves attention. 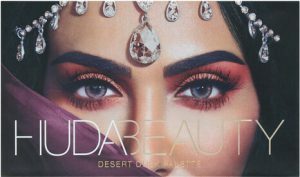 We have also compared it with the other trendy palette with pinky eye shadows, so you may be interested in our comparison: Anastasia Beverly Hills Modern Renaissance vs Huda Beauty Desert Dusk. Hope we helped you to set up your mind on whether you need this eye shadow palette for your beauty bag. 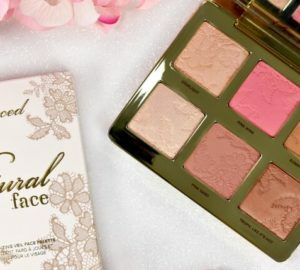 I like this palette, yet it is something you will not use for everyday makeup, for sure. 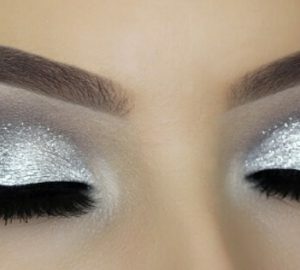 I like the glitters, they are super shiny and stay well on my lids, I wish they decreased price for this beauty, so 4 stars to it because of high price.